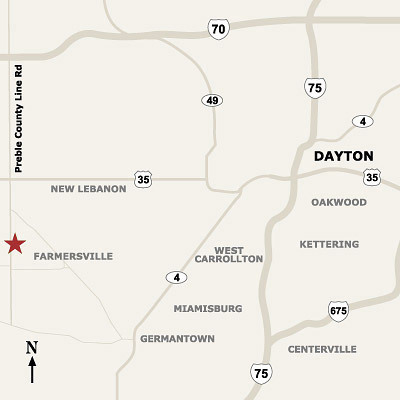 Elegant Iron Studios is located on Preble County Line Road — 16 miles west of downtown Dayton, 4 miles south of US-35. Click here for a Google Map. BUILDING OR REMODELING? Call us for a FREE design consultation. We are regularly working in Dayton, Columbus, Cincinnati, Northern Kentucky and Indiana and are happy to come to YOU. We can provide full-size railing samples, computer-generated designs, sketches and a comprehensive portfolio to assist with your project needs. CAREERS We are always interested in talking with talented, hard-working individuals who are ready for a new and exciting opportunity. If this sounds like you, please contact us and tell us a little about yourself. You can also fax or mail a completed application of employment (pdf) or call 937-696-1010 to talk to us directly.